Fireplace problem filled home with smoke. I recently moved into a house with a fireplace. It is cold where I live so last night we made a fire in the fireplace and the whole house filled up with smoke. We had to open windows and the doors to air the house out. This is the first time I have ever had a fireplace in my home. Is there something maybe clogged in the chimney and this prevents the smoke from going up and out? Why would the complete house fill with smoke when burning wood in the fireplace and what is the solution? All chimneys on a fireplace have a small door called a “Baffle Door” or “Damper Door” that MUST BE OPEN BEFORE you light any fire in the fireplace. 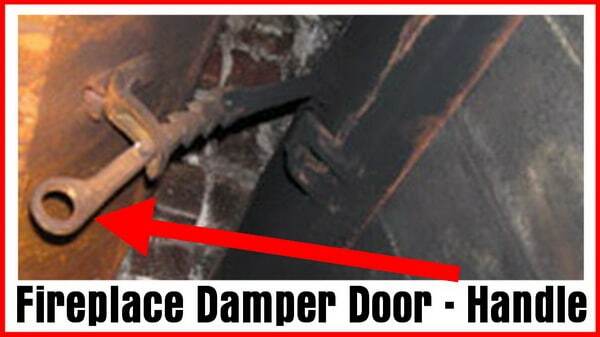 The Damper is meant to be “Closed” or shut when not using the fireplace. Most likely you DID NOT OPEN THE DAMPER and therefore the room in your home has filled with smoke. 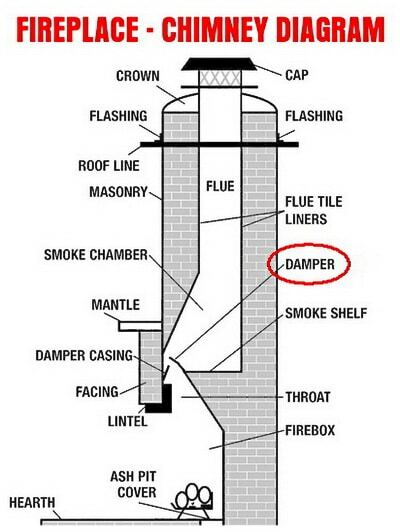 If the Damper is closed when you light a fire in the fireplace, the smoke has no way to exit out of the chimney and the smoke will therefore fill the room or house. The Damper door is located right above the fireplace in the chimney. Use a flashlight to locate it and you will see a handle that moves the Damper door OPEN or CLOSED. Make sure the Damper door is OPEN BEFORE lighting a fire. Make sure to open the Damper door BEFORE you start a fire in your fireplace and do NOT attempt to open the door once the fireplace is lit as you WILL burn your hand. On most Damper doors there is a hole in the handle. 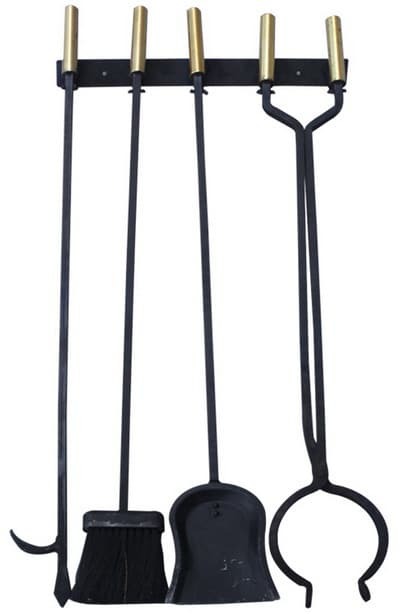 You can open the door using a fireplace tool if you forgot to open the Damper door once you have started a fire in the fireplace. If you did forget to open the Damper before lighting a fire, use caution when opening the Damper door as severe burns can occur. Use a fireplace tool and use caution. The Damper is meant to always be closed when not using the fireplace. This Damper should be closed when not using the fireplace especially during cold weather, so when you turn the thermostat up to heat up your home, the hot air does not escape and so nothing can come in and down into the fireplace. Keep the Damper closed when not using the fireplace but remember to open it when using the fireplace. You can purchase a product called a “Smoke Guard”. A Smoke Guard fixes flue-to-firebox ratio problems and will reduce smoke. A Smoke Guard closes off the opening a bit creating a better draft up the chimney. NOTE 1: On some fireplaces or chimneys, you need to create an “Updraft” before you light the logs or kindling wood. You can ball up some newspaper, hold with some fireplace tool tongs, light the newspaper, and hold it up in the chimney to create an updraft. By creating a draft of airflow up and into the chimney, this will start the pull of smoke from the main fire up and into the chimney instead of filling the your home or room. Once you have started the updraft, then light the logs in the fireplace. This can also be a way of heating up the flue to create a siphon effect so the smoke is “pulled” out. NOTE 2: At times, depending on conditions and the home you live in, you may need to crack a window open a very small amount to allow for the smoke and hot air in the fireplace to flow up and out of the chimney. This happens only seldomly but may be needed if the home is tightly sealed and there is a vacuum effect created which does not allow the fireplace smoke and hot air to flow up and out of the chimney properly. Basically, if the hot air is not moving up and out of the chimney when you have a fire going, opening a window will help the air move up and out through the chimney. This works by an air pressure effect or vacuum effect in your home. This will bring pressure into the room which causes the air to be drawn up the chimney and allowing the smoke to move up and out. The fireplace smoke and hot air pulls the air from outside to give it a way to escape through the chimney. The chimney may be restricted by a bird’s nest, other outside debris, or heavily caked from combustion deposits. If this is the case, you may need to have a “Professional chimney sweep” or a “Chimney cleaning” to remove anything blocking the smoke and heat from exiting through the chimney. You can go up on the roof and check for obvious signs of blockages at the top of the chimney. 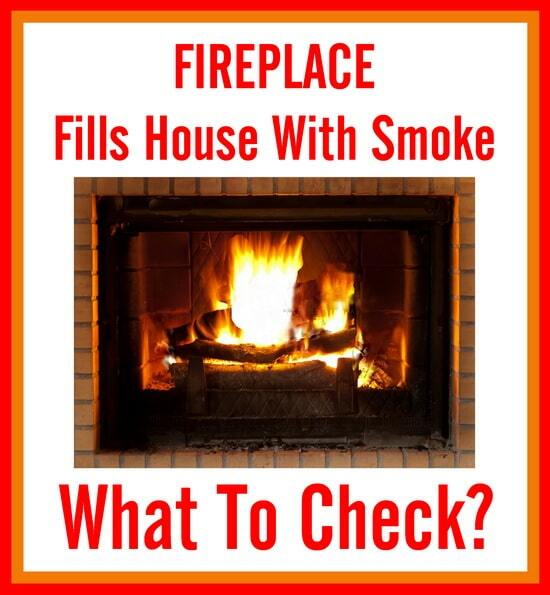 Remove any signs of blockage and be sure the Damper is open and try lighting a fire once again. – Flue may not be the correct design for your size fireplace: More smoke will accumulate that can draft up and out of the chimney therefore this extra smoke has nowhere to flow except into your home. – Improper flue termination: Allows outside airflow to create down pressure. – Using devices that remove air which in the same area as the fireplace create a negative pressure: Using air vents in kitchen, etc. – Flue on the exterior not properly insulated. – Flue is open but coated with creosote or other combustion deposits. A chimney works by expelling the smoke from a fire by using the “heat rises” concept. Hot air rises from the fireplace and gets funneled into the chimney flue. 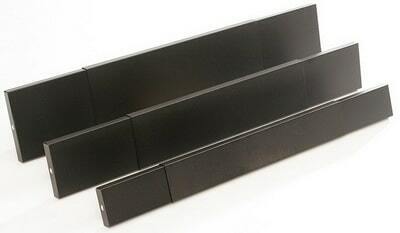 The Chimney Flue is simply a pipe that brings the smoke up and out of your house. If your chimney has any blockages or heavy build up, the air cannot flow out properly and smoke may fill the room or your house. Have questions or comments about a fireplace that fills the room with smoke? Please leave your question below and we can help you figure out what is wrong?